The winged altarpiece is well known as a work of art far beyond the borders of South Tyrol - Südtirol and was made by Hans Schnatterpeck. Carved out of chestnut wood and built between 1503 and 1511, it's the largest altar in the Alpine region with over 14 meters and now situated in the gotic church of Niederlana. You reach the church while walking on the Path of Brandis directly under our Hotel Garni in Lana. 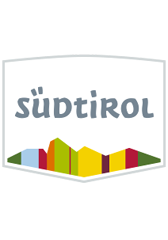 The first Fruit Growing Museum in South Tyrol - Südtirol here in Lana illustrates the historic and current documentation of fruit growing in Lana and surroundings which covers an area of 2000 square metres. You reach the museum while walking on the Path of Brandis directly under our Hotel Garni in Lana. The blooming botanical gardens of Trauttmansdorff Castle reach on the sunny hills over Merano, not far away from the Panorama Hotel Garni Bühlerhof in Lana. The Japanese Garden, the Water and Terraced Gardens, the House of Orchids, the Grotto, where is presented a multimedia show about the evolution and development of the plants, are only some of the fascinating things in this 12 hectare area. Enjoy the wonderful world of the plants in the Sensual Garden, where already the Austrian Empress Sissi stayed during her winter cures. The castle itself is situated in the middle of the Gardens and houses now the Museum of Tourism - Touriseum. In the restored rooms that Empress Sissi used to inhabit, fascinating displays and interior arrangements document the development of South Tyrol - Südtirol into one of Europe's most popular holiday destinations. The Merano Thermal Baths in the heart of Merano offers an oasis of relax and well-being and employs their very own line of bodycare products. This specially created product line is based on pure raw materials provided by Mother Nature in South Tyrol - Südtirol. Authentic products like grapes, apples, whey and herbs form the base of a product line developed in conformity with the strictest quality codes. Enjoy the wonderful park, Spa- & Vital offers like bathes, massages, packages, peelings, energetic and cosmetic treatments, medical services or fitness treatments. 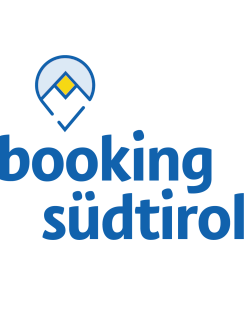 Recovery and refreshment at the most beautiful and popular lakes of South Tyrol (Südtirol) - the Lakes of Monticolo and the Lake of Caldaro. The lakes of Monticolo and Caldaro are perfect for bathing in summer and of course beautiful points of attractions all the year long. Explore the wonderful landscape around the Lakes of Monticolo. Jump in to the refreshing water and turn around the seas by boat. Enjoy the surrounding nature in the romantic forests on easy-going pathes. The Lake of Caldaro, nestled between two mountain groups and surrounded by vineyards, reeds and forests, is the warmest lake in the Alps. Bathers and boaters, surfers, sailors and fishermen: they all find themselves at home here. The waterfall in Partschins is one of the most impressive waterfalls in the Alps. The remarkable water masses of the stream fall first of all over several rocky terraces and then are thrown by natural forces over an almost vertical rocky wall into a depth of about 97 metres. Don't miss this wonderful spectacle! Enjoy the "open-air cinema” in Vöran! Sit back and take in the show with the stunning mountain scenery playing the lead role. Be entertained by the dramatic views from Texel to Penegal and further to the White Horn! Admission to the “Knottn cinema” is free in all weather conditions and all year round! Apples and fruit-growing characterize the landscape especially here in Lana and surroundings. Therefore the first fruit growing museum of South Tyrol - Südtirol is situated in Lana, which illustrates the historic and current documentation of fruit growing in an area of about 2000 square metres. The museum shows the development and the history of wine-growing here in South Tyrol - Südtirol with the original equipment for making wine. In this museum is shown not only an extensive exhibition of archaeological findings, but also the world-known " iceman - "Ötzi" with his equipment, clothes and arms. This museum documents the life and the achievements of Andreas Hofer, the popular Tyrolean freedom-fighter. Many original show-pieces are at the heart of the exhibition in the former stable of his own farm! Also a fine ethnographic collection of show-pieces is documenting furniture, costumes, popular arts and credences, customs, healing practices, agricultural life, transport, crafts and the life of various local personages. The Touriseum in the Trauttmansdorff Castle restores rooms that Empress Sisi used to inhabit. Fascinating displays and interior arrangements documents the history and development of Alpine Tourism in South Tyrol.